Buy the bundle and save! Fairy Tale Mail and beyond! 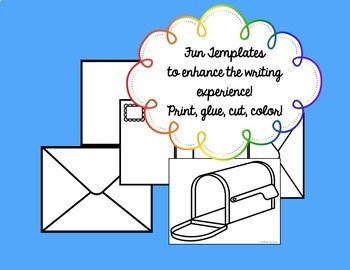 This resource is perfect for required writing genres in your third, fourth, or fifth grade classroom: narrative, informative, opinion, persuasive, sequential, and letter writing. Current social media related writing experiences are also included! 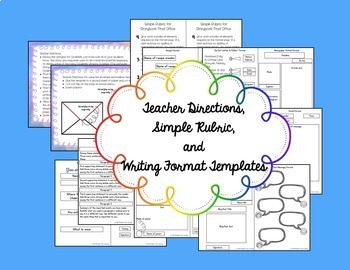 Use this resource as a writing center, for writer's workshop, as task cards, whole class or small group assignments, or even as a great sub activity! 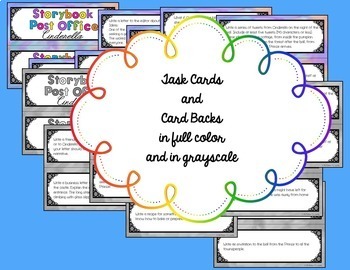 The task cards and finished products make fun bulletin board displays. 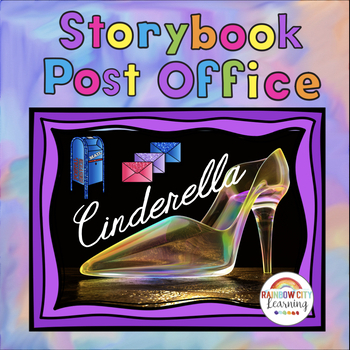 Students will love trying on the shoes of well-known storybook characters and writing for many purposes and audiences from each character’s point of view.